App Store ASO vs. Google Play ASO in 2018 – Meet All the Differences! As you all know, ASO is the process of maximizing visibility of our mobile apps on the app stores with the goal of getting more downloads, but it’s also about conversion rate to download. 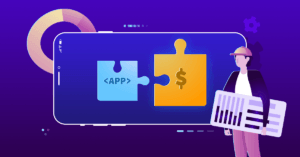 In this post we will discuss everything you need to know in terms of ASO strategy depending on the store you want your app to rank in: Apple App Store or Google Play Store. The main purpose of accessing either App Store or Google Play is to download apps and games, and while the information we find in both stores is similar, users show different behaviours while browsing them – some tend to read descriptions, ratings and reviews to make an informative decision, but there are others who decide whether to download an app or not within a few seconds. These tendencies, among many other aspects, change depending on which store is the user browsing, so we are doing a recap of everything you need to know when planning your ASO strategy. The aspects discussed below will be divided in off-metadata factors and on-metadata factors. You can learn more about factors here. These factors rely purely on marketers and developers, as they can edit them from App Store Connect. They are all public and visible except for the Keywords Field. In the several text fields presented is where our ASO game has to shine, so we are going to see the possibilities that the Apple App Store has to offer. First of all, the App Name. In both stores is one of the most important factors and it has to contain some of the leading keywords, the ones that will allow users to find the app. In App Store it is possible to use 30 characters. Although the length of the Title is shorter in the App Store, it allows to write a 30-character Subtitle to make up for it, on which you can include keywords. The second one is the Description, and each store offers several possibilities. The App Store includes a long 4,000-characters description, but it is not relevant for Search ASO. Instead, it is key for marketing purposes, as it’s the most powerful tool to get users’ attention and convince them to install the app. Moreover, it has the Promotional Text Field, which is not indexable, that can be edit at any time to inform of updates, events, and such. The last important field to consider is the Keywords Field, which is only available on the App Store (and, remember, it’s not public), and includes the keywords for which we opt our app to rank for. It allows 100 characters and it shouldn’t include keywords that are already on the App Name or the Subtitle. Last but not least we find the Developer Name, which is important for ranking, as well as its age, because both stores tend to highlight the positive ones. Then, there is the Category, an aspect that doesn’t affect positioning but it’s important for browsing, as our app will appear in category charts. The App Store allows 2 categories: a main and a secondary regarding apps, plus 4 subcategories when it comes to games. Our first look at both stores treats visual aspects and layout, features that focus more on marketing than ASO, but they are key for conversion rate and we must take them into account. The first impression is almost definitive when it comes to download an app. Most of installs come just from that, so it’s imperative to exploit the marketing assets that each shop offers. In terms of layout, on top of the App Store you can find the Title, icon and rating, and the visual claim comes after that in a gallery with a maximum of 10 screenshots, which are useful to show how the app works and can also include a video. Another key aspect to consider is that on the App Store videos reproduce automatically, so users are more likely to watch them. The icon is key in terms of conversion, as it must represent clearly the type and functions of the app. It needs to be attractive in order to stand out among the rest and to catch the eye of the user. Installs volume allows an app to rank better. The App Store doesn’t show this data. Installs speed. The more installations in the less time possible, the better. It will affect the app’s position in the Top Charts. The app stores allow users to rate our app in a range from 1 to 5 stars, being 1 the worst grade and 5 the best. Ratings are good for conversion and they increase visibility on the App Store. The average rating has an influence on conversion rate, and it shows the average of all the ratings received. The App Store shows this data by country. References on websites. It’s an ASO conversion factor, as references give the app good publicity that helps the user deciding whether to download the app or not. Reviews. Users give useful feedback, as well as the score, that will improve our conversion rate. Engagement. It may become an important factor, as a large number of active users in our app (with a few uninstall rate) will help in terms of positioning in Top Charts and Featured. Do you want to know how to do ASO on the App Store? Read this guide! These factors rely purely on marketers and developers, as they can edit them from the Google Play Console. We should keep in mind that the Title is one of the most important factors and it has to contain some of the leading keywords, the ones that will allow users to find the app. In Google Play Store it is possible to use 50 characters that we can complement with a short description of the app to describe it, which can’t be longer than 80 characters, and it affects ASO regarding search and conversion rate. Google Play also allows to do a long description, which is specially important, and it needs to contain the targeted keywords for a better positioning. It also has to include the arguments that will convince the user to download the app, and it concedes 4.000 characters. The last informative field is the Developer Name, which is important for positioning, as well as its age, because if it is positive Google Play can highlight it in the store. Then we can find the category, an aspect that doesn’t affect rankings but it’s important for browsing, as our app will appear in category Top Charts. Google Play lets the developer choose only one category. Don’t you know which keywords to work with? You have to conduct a deep keyword research! One of the differences between Google Play and App Store is that the first one displays a feature graphic that takes up nearly a third of the screen, which can include a video. This content should be representative of what’s the app about, so make it clear enough! Then there’s the App Title with its icon, rating, number of downloads (information not available on the App Store), category and short description. On the other hand, the screenshot gallery offered by Google Play is located after the ‘read more’ button, and can place a maximum of 8 images. Videos redirect the user to a YouTube link, a feature that makes it more difficult to them to watch them to completion, but it tells us that the ones that do so are engaged with the content, as they chose to watch it. Installs volume allows an app to rank better. In Google Play we can see the reach of downloads. Installs speed. The more downloads in the less time possible, the better. Speed will affect the app’s rank in the Top Charts. Google Play allow users to rate any app or game in a range from 1 to 5 stars, being 1 the worst grade and 5 the best. Ratings help improve Search rankings and conversion rate to download. The average rating has an influence on conversion rate, and it shows the average of all the ratings received. Google Play displays a general global average. References / backlinks on websites. It’s an ASO conversion factor, as references give the app good publicity that helps the user deciding whether to download the app or not. On the other hand, we know it is a Google Play ASO factor for Search. Read more about this in this post by our CEO. Reviews. Users give useful feedback, as well as the rating, that will improve our conversion rate. Furthermore, Google takes into account the keywords used in reviews, so it helps ranking higher. Engagement. Some people say it may become an important factor, as a large number of active users in our app (with a few uninstall rate) will help in terms of ranking in Top Charts and Featured, mostly for games. Do you want to go deeper into Google Play ASO? Check out this complete guide. We know that a picture is worth a thousand words, so we have included a table as a recap of all the information we have been explaining above these lines! Here you will find the main differences in App Store Optimization between Google Play and App Store. We hope that these guidelines helped you to get a more detailed image of the differences between Google Play Store and Apple App Store. Now it’s time for you to put it into practice and adapt your ASO strategy to the store you are aiming to rank! Remember that you need to track, test and change (if necessary) your strategy constantly to ensure good results and a consistent growth! Take some time to analyze your market, competitors and every other aspect we have mentioned in this article to stand out. Let us know if this guide helped you. I found very interesting your article and helped me to finally comprehend the differences between the two stores. I would recommend this post, 5 stars. Thank you for your blog. It helps me clearly understand the factors of aso both in apple app store and google play store. It gives me direction on impressions and conversations. Thanks a lot.